They've Known Nothing But A Laboratory. But That's About To Change. Ten beagles are about to have a whole new understanding of what it is to be alive. 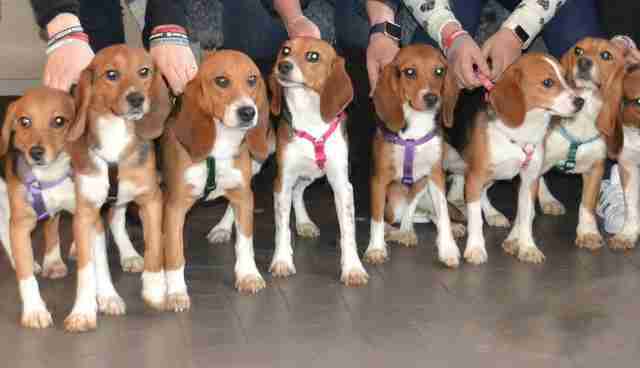 Thanks to a rescue organization, the Beagle Freedom Project, these lucky dogs are going to loving homes after spending their lives in a research laboratory. Beagles are a popular breed for laboratory research because of their friendly and docile nature, according to the Beagle Freedom Project. 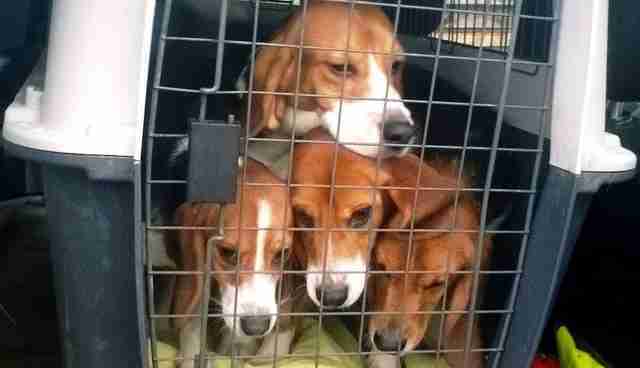 Research beagles are often obtained from breeders who specifically breed dogs to sell to scientific institutions. As recently as 2012, 70,000 beagles were in laboratories in the U.S. alone. 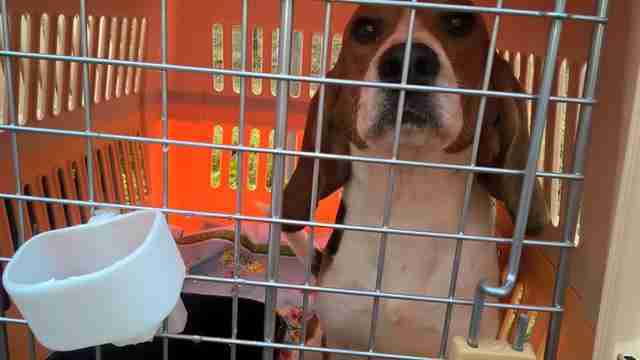 Many beagles are euthanized after their stint in the lab ends. But the Beagle Freedom Project has been working since 2010 to give new lives to the beagles released from their time in laboratories. This latest rescue is taking place in Europe. The project has been working tirelessly to coordinate new homes for the dogs in a massive international effort. 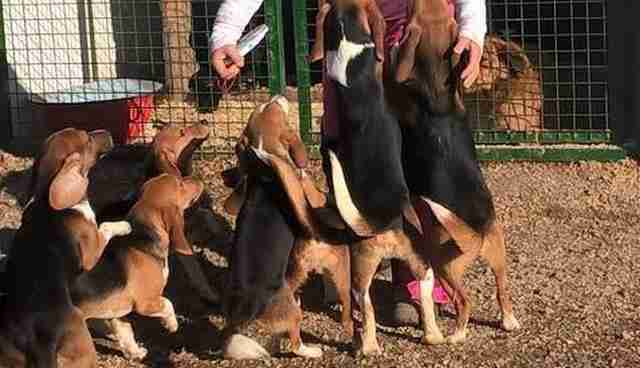 "We worked with our partner organization Vackoló in Hungary for their release," Shannon Keith, president and founder of the Beagle Freedom Project, told The Dodo. "Then we transported them to Switzerland and Holland to their new homes." One beagle has a permanent home already and the others are in foster homes now. 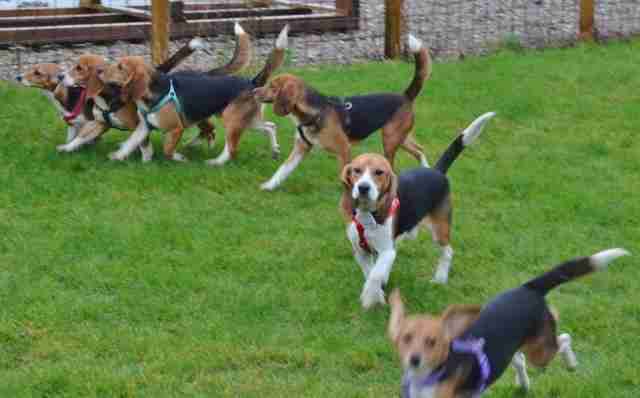 The Beagle Freedom Project is optimistic that they'll all end up getting forever homes. "We like to do foster homes first to assess their personalities once they become acclimated to real life," Keith explained. It's about time these dogs have a real life to become acclimated to in the first place. 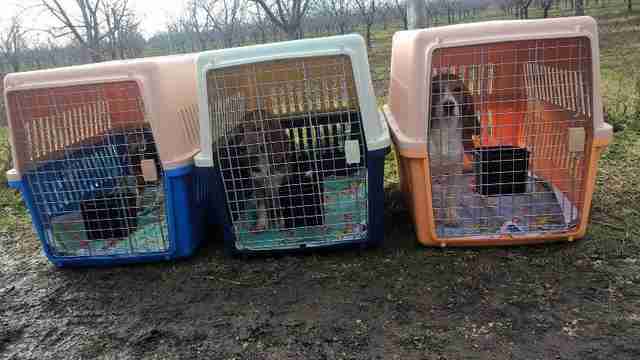 Click here to support the tireless rescue efforts of the Beagle Freedom Project. And click here to take action for animals used in labs, urging research facilities to give cats and dogs a chance at a life after research.